Hi, I’m Krishan Kant Lavania and I have developed Campus366 which is a cloud based education erp for schools, to provide a platform to schools ,students, parents to share every thing about school. Like attendance, homework, notices etc. 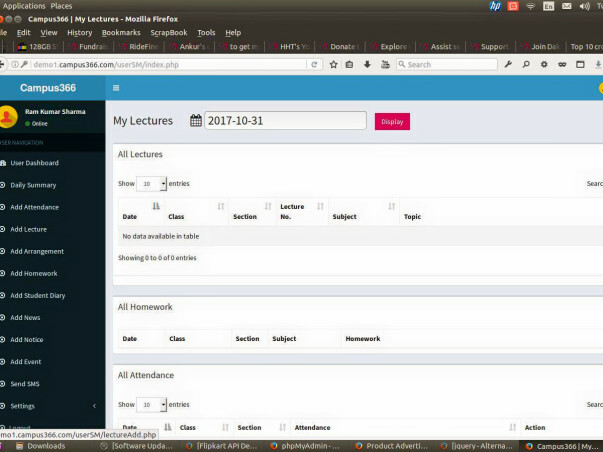 The application is up and running on https://campus366.com – I have started the test of this now i want to provide this to 100 schools across India for free, and also want to develop other features as needed by the schools for that i need your support. My own funds have been utilized to develop the application, get a payment gateway, a website. This was the first phase, which has taken off successfully. We have a dedicated team of core developers, who are continuously improving on the performance of the application, to make it as real time as possible. 1. Implementation in 100 Schools across India. 2. 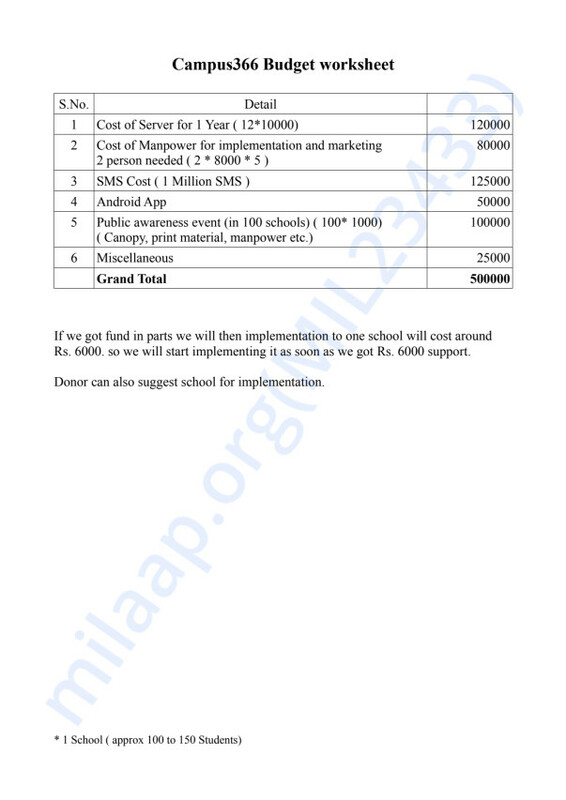 Development of android app for this as well as for individual school. 6. Expanding to at least 10 new cities We need funds to kickstart the second phase and so we are asking you, our potential users, to help us expand. The funds will be spent on achieving the deliverables of the second phase and we promise to keep you updated. We are also open to feedback. Please let us know what you think about the application overall and how we can improve on providing you a better experience. 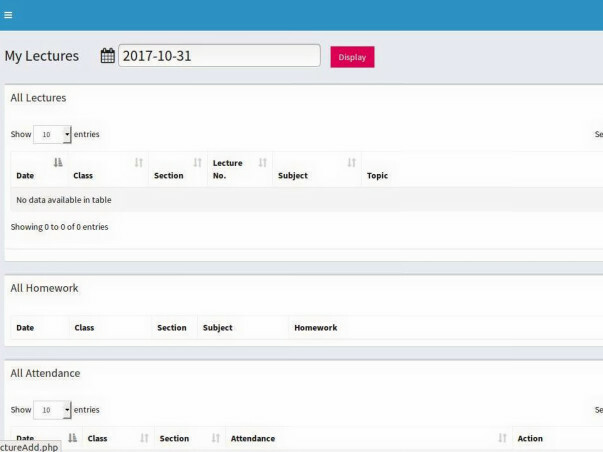 ampus 366 is a School Management System Software aimed to make administrative works easier which is highly beneficial to educational institutions. Using this software you will be able to handle all the day to day functions of your institution in a comprehensive manner. It is user-friendly and very easy to learn. Anyone with basic computer knowledge will be able to handle its working in a proper manner. In addition, parents can also use this software to keep track of their kids performance at institution.